Market Report Spring 2016 - Ultra International B.V.Ultra International B.V. 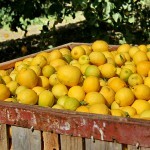 Significant increases in production based on the most recent forecasts suggest as much as 1.45 MMT (Million Metric Tonnes) of fresh lemons will be produced in the 2015/16 season. However, other reports suggest that the figure will be closer to the 1,300,000 MT we saw last year. We have already seen the impact on the lemon oil market as supplies rebalance and with it, to some extent, prices. That said, this doesn’t apply to all regions as the European fresh fruit and oil markets face far different scenarios, which will also play a role in Argentina’s pricing, as demand on them will increase from other markets. For 2015/2016, fresh lemon exports are projected to increase significantly to 280,000 MT (a 51 percent increase from the previous year), due to the production rebound and less fruit supply in Northern Hemisphere countries. The main markets for Argentinian exports are the EU and Russia making up for 72% and 16% of all exports respectively. This is around 180,000 MT of fresh lemons. More good news for the international markets is the Argentine government’s decision to remove export taxes in an effort to counter the recent devaluation of the local currency. For lemon oil this means a 3.5% decrease in local taxes, which many producers are looking to pass on to their customers in order to gain a competitive edge. So in summary it’s happier days for the Argentinian producers but not necessarily for all end user markets. With demand increasing both domestically and internationally for fresh fruits and oil, Argentina will no doubt fill many ‘boots’ and probably at reasonably high prices. The GLOBAL NET POSITION ON LEMON PRODUCTION IS ESTIMATED TO BE 3% DOWN on last year. Overall production volumes have been slightly reduced this season at a time when demand levels are very high. This is particularly the case for any ‘Italian’ types of oil being produced. SUPPLIES REMAIN DIFFICULT as production fails to keep up with global demand, which has seen good growth over the past year. There are plans for a plant upgrade, which will increase capacity, but this isn’t expected to come online until the third quarter, leaving supplies tight until then. New production of oil from plantation wood has started to come online bringing with it a sense of relief from those desperate to find alternative sources. This has been a long term event and the benefits should be seen long into the future. Change to the local wood distribution supply will also come online later this year. It is expected to bring with it better access to wood for other producers who have long been forced to pay higher prices to gain access to wood supplies via different routes. This along with the stocks from the new plantations will see markets more open to processors over the course of 2016. Happier days ahead! 2015 marked a new record production for Australian tea tree oil but despite this there remains very little carryover stocks. Many buyers covered their requirements early so the market has been seemingly flat in recent months. That hasn’t detracted from the fact that an overall increased production of 150 MT over the course of the year has been consumed, owing to the fact that tea tree oil is becoming more and more popular. 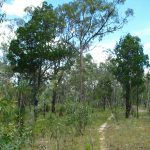 Expect some CHANGES TO MARKET CONDITIONS this year as we are likely to see some consolidation amongst producers within the local markets and the upcoming changes to the ISO Standards should encourage more use of pure Australian tea tree oil than other less compatible origins. Interest continues to grow with tangible results now being seen in markets across Europe and Asia. Capacities remain at around 5 MT per annum but thoughts are in place to expand this capacity given current interest and ongoing development work at the end-user level. The season has been quiet good for this up and coming lemon producing nation with many now happy to consider Brazilian quality as a straight alternative to Argentinian. Production is continuing to grow along with general demand. Although the season is throughout the year the main harvest period lasts between December and July and heavy rains in January and February hit production hard. That said, there is some availability but supply and demand is delicately balanced. MARKETS REMAIN VERY FIRM AND VOLATILE as we look towards the second half of 2016 although statistically some figures paint a different story. Generally the local markets for fresh fruits peak from February to April so many of these off fruits will be picked and sold during this time leaving the available fruits for processing come May very low. This at a time when fruit picking is at its lowest. The overall FORECAST IS FOR A REDUCTION OF FRUIT BEING AVAILABLE FOR PROCESSING IN THE COMING MONTHS. This will inevitably put pressure on supplies into the oil market during the second half of the year, no doubt keeping prices firm. This year, shipments from origin are around 10% up on the monthly averages from 2015 but prices (based on FOB rates) are on average 45% higher! Generally, markets seem stable although firm but it is thought that the supply pipelines from origin to end-users are fairly low as consumers continue to cover only their basic needs. This adds an element of vulnerability to the markets should supplies start to slow as they seasonally do around mid-Summer. The story of any citrus bi-product will follow the paths of the fresh fruit, juice and oil markets before their own market dynamics play a part, but with the uncertainty surrounding those markets at the moment the future prospects of d’limonene remains delicate. It is still too early to see how this year’s crop will perform but generally the plants came through a mild winter unscathed. Final calculations from 2015’s crop suggest Bulgaria produced and EXPORTED AROUND 200 MT of oil, which was significantly up on the previous year by around 60 MT. That said, today there is VERY LITTLE OIL AVAILABLE IN THE MARKET and nothing at origin, suggesting the markets easily consumed these increased volumes. 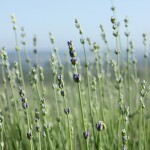 We know from recent history that the critical time for lavender yields is around June. Depending on the hours of sunshine and temperatures at that time, yields can be significantly increased or decreased to the extent that if all goes well we can expect perhaps 250 MT this year but if the conditions that prevailed in 2014 occur again, the same plantations could yield us as little, or less than 160 MT. With additional plantations in recent years we understand there to be around 4,000 hectares of lavender fields in Bulgaria. Despite the mild winter the cold spring nights could cause some problems for the development of this year’s rose plantations, although it is too early to confirm. After last year’s 50% +/- decline in yields rose needs a good crop but we are still several months away from understanding what conditions we will have. Today both within the market and at origin there is little or no oil available. Production usually starts mid-May but this could be delayed due to continuous rains in the collection areas. Last year’s production was 50 MT less than 2014 at levels of 400 MT. It is anticipated that this year’s PRODUCTION VOLUMES MAY BE EVEN LOWER. Today’s markets are quiet as most buyers await the new season. Last year saw prices fall to under $30 /kilo for the first time in recent years but it is likely that we will see prices slowly return to the average price levels that we are used to, which is between $37-$40 /kilo. The early season has not been great as cold weather destroyed many crops over the winter period. Thankfully after last year’s bumper crop, stocks remain reasonable but it is expected that prices will increase over the coming weeks or until the summer season begins from late July. The market remains delicately balanced, which is a pattern we are starting to get used to for this product. Over the past 12 months, we have seen supply and demand keep fairly in line with each other with the only changes to this being short lived. This comes either when demand spikes or during the seasonal months when harvesting and production fall, as we are seeing now. After the last production season between November and January, prices softened by as much as $1 /kilo but as production stopped around February and with no surplus stocks in the supply chain, prices have since risen. With no likely scenario of a short-term oversupply, it is worth following the main production times to take your cover. With this in mind, prices will remain firm until May, with June/July, then later in Q4 being the best times to enter the market. Depending on whom you speak to there has been either zero production or very little production for over 12 months. This has put an immense pressure on supplies and with it market prices. Today prices are higher than they have ever been with no real positive changes foreseeable on the horizon. The season starts in May but it seems production will only be made against firm orders, which will no doubt leave us with no carryover after the short season. The smaller production in 2015 managed to keep prices firm, which is a trend many expect to see continue despite the new season having just started. Competition amongst collectors, coupled with higher labour and production costs, has meant that early calculations of new season oil actually see prices increase! The season will continue over the next 4-5 months so maybe there is room for things to improve; however, at this stage this scenario seems unlikely. The new season has certainly helped to ease supplies and prices after we’d seen prices creep up towards the end of last year. Today there are some good offers available so our recommendation would be to buy now for the rest of 2016. In 2015 the Chinese had a difficult year competing on the global lavender markets, not helped by strong production from Bulgaria and France. Even today you are able to find some stocks from last year’s production with many producers happy to cut their losses and look towards a better 2016. Whether they get one will very much depend not just on their own crop conditions but the conditions of other producing areas. If everyone has a good year it is questionable as to how much the Chinese can compete but that hasn’t deterred their interest for now so let’s see how the next few months play out. Today there are little supplies to talk about in the market with the next season not starting until late June. This is the only season planned this year and will last around 8 weeks, until mid-August. As with 2015, there will be no spring season as the government continues to restrict harvesting. Last year we saw a 40% REDUCTION ON THE PREVIOUS YEAR’S PRODUCTION. We expect similar levels this year to those of last. Prices remain firm with limited oil to cover until the next crop starting in August. Unfortunately good quality material remains an issue with many having to accept a higher level of methyl chavicol in order not to be forced to pay higher prices. Production started late March, which is a little earlier than usual. This was in part due to a high demand from the market although the early start may affect overall yields. Although prices today are similar to those of last season the early crop finish and the forecasted hot weather is likely to mean price will increase after the close of the season. Production should start mid-April but as usual there is a small window for harvesting and most production is made to order. Prices have softened but remain higher than prices from other origins, where we are still finding some carry over stocks from last year, which may affect demand this season for the Egyptian oil. Prices remain stable at relatively low levels if compared to this time last year. However, it is expected that the new crop, starting in May, could be smaller than usual, which could lead to some supply issues later in the year. It is recommended to cover early. Difficult to summarise as prices have been low along with demand for some time. There doesn’t appear to be much justification for the weak markets and it is hoped that demand will return this year. This could coincide with an expected smaller cultivation this year which could help prices to recover (good if you’re a producer!) but to what extent it is difficult to say. There are always some external dynamics to consider with this oil and origin so enjoy the weak and stable price today as they may not be around forever. Markets have softened a little since the turn of the year with small lots still available from last year’s crop. The new season will start around June and is expected to be normal. After last year’s proposed new volumes didn’t arrive everyone is hopeful that 2016 will be different. There is a significant amount of new plantations that ‘should’ yield some results this year with the hope France can increase its output by a few tons. Last year’s volumes are estimated to be around 16 MT with every drop selling quickly at record high prices. The NEW PLANTATIONS COULD ADD 5-8 MT MORE OIL this year but as always Mother Nature will have the final say. Reflecting on recent years we can see that there is little future for this variety as year-on-year output declines. Last YEAR’S PRODUCTION WAS DOWN A FURTHER 15% on 2014. It seems there are still a number of end users who insist on this variety but in reality they are less likely each year to be buying what they think they are buying with volumes of real abrialis almost non-existent. Today there are no stocks at origin. Despite a strong 2015 production (although without the growth we originally anticipated), demand has remained firm and all stocks at origin are now sold. 2015 production was up around 5% on previous years but it looks like that wasn’t enough to fulfil the overall demand. Today, buyers are asking for material to tie them over until the new crop but are finding very little available. Instead many are turning to other sources, such as Spain, and finding they’re having to pay much higher prices. It is too early to predict this season’s outcome but so long as there is no major drought during spring and no overly hot pre-harvest period all should be set for a similar output to that of last year. Recent years have seen this variety decline and with it prices increase and it is unlikely this trend will be any different during 2016. That said there is some good news, as recent new plantations will hopefully add new oil into the supply chain after the 2017 crops. Today there is no material at origin and with the season not starting until July (with oil available late August) expect the market to remain very firm. Stocks at origin are now depleted after a complete sell out year for French lavender. Production last year was average even if some other lavender types performed better than expected it certainly wasn’t the case for Maillette. Whilst other lavenders showed modest GROWTH OF AROUND 4% on average Maillette suffered. As a result, prices finished on average higher than in 2014 as demand for this quality is always high. As with all lavenders the flowering period before the harvest will determine what yields we can expect. This is always a balancing act by the farmers who have to be ready to move quickly once the right time arrives. Production is now focused on the Dominican Republic where of late some local restrictions have been in place to prevent the movement of raw material to the factories. This is for deadwood as live wood cannot be harvested as it’s under a government protection order. Thankfully we are hearing that these restrictions have been lifted which in time will provide some relief. That said the market is starved of supply and it will take some time before there is a better balance in the market and until then prices will remain high. 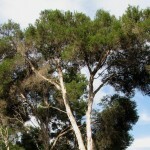 Historically sandalwood grew freely in Haiti but was depleted over time because the branches burned well due to their density and dryness making it a good energy source for local households. It is now harvested in the Dominican Republic and is a protected species therefore the industry is reliant on the availability of deadwood. Supplies are simply not available as the availability of raw materials and basic commodities for processing are short. Last season (ending October 2015) there was no cary over stocks and today there is a backlog of orders to fulfil. In February limited production started again but the key word here is ‘limited’. It is likely to take some months before supplies catch up with the demand so expect prices to increase over the next quarter. The new season has almost concluded with less production than in 2015 due to the declining prices and demand for anethole. Today prices are stable but stocks are low so it could be that during the year we see some price increases. The 2015 crop saw a 30% REDUCTION on the previous year’s output, most of which was planned due to the declining market demand. Markets remain flat with some stocks still available. 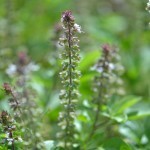 Crude Mentha Arvensis prices are very low at the moment as producers look to turn over stocks before the new season starting in June. The new season started a little late with fresh oil beginning to come online mid-April. Markets are fairly quiet at the moment but this could change soon and depending on which will determine prices for the new season. One factor that has come to light is a reduced davanone level in this season’s crops brought about by delays in harvesting. The markets have started to rebalance and as a result prices are now more stable. In 2015 production was down around 30% and the availability of good quality oil became difficult. Whilst we’re still not seeing good continuity it is thought that supplies are catching up with demand perhaps owing to a weakened market in recent months. Once we get to the summer harvesting period it is hoped the markets will improve further. Production has been weak during Q1 as demand is growing and with it prices. A lower output this season could see local oil stocks reduce in the coming months, which will help move prices back to a more attractive level for farmers to cultivate next year. India’s pepper cultivation is reported to be around 195,000 Ha, making it one of the largest in the world, although Vietnam remains the largest exporter of the spice. Over recent weeks the local markets have seen an INCREASE IN PRICES FOR BLACK PEPPER SPICE with global pepper prices (spice not oil) at an all time high. A recent report into the industry forecasts a 3.2% GROWTH IN THE PEPPER MARKETS over the next 4-5 years. This is based on consumer trends and supported by many of the world’s largest food producers. Today the oil market remains stable but will be influenced by the condition of the spice market. Should it continue to grow and prices rise we may see some increase in oil prices, which has been more of a buyer’s market in recent months. There is a general sense of an improving situation amongst the Indian producers. After a low yielding 2015 and a weaker market new enquiries ahead of this season 1st cut in May have given renewed optimism. It is understood there was around 20-25% ADDITIONAL PLANTING EARLIER THIS YEAR which is hoped will lead to a healthy 1st cut. Today stocks are almost fully depleted with very little carryover from 2015. Today’s prices are not indicative of what may come next as we await the new season and the market’s requirements. Last year we say a 35% REDUCTION IN PLANTATIONS compared with 2014 to try and rebalance the supply in the markets due to weak demands brought about by the introduction of synthetic alternatives. This year it is likely to REDUCE ANOTHER 25% as more and more farmers are discouraged by market prices to invest in production. It is a buyers market! Finally fresh, uncontaminated lots of this oil have started to come through after months, even years, of ongoing problems. There is still some work to do to ensure it’s longer-term sustainability but for now it is pleasing to see some good quality oil. We hope that during the course of 2016 the situation will continue to improve further. The market is now pure speculation as there is NO FRESH OIL AVAILABLE and none for the foreseeable future. As such today’s prices are at all times high and will rise based on who wants what and when. We do not expect to see fresh supplies soon and would recommend you cover any short term needs quickly if you can. There was almost a 20% GROWTH IN PRODUCTION LAST YEAR as Indonesia continues to express itself in the global market. Whilst still shy of the 2,000 MT China produced in 2015, prices for Indonesia origin remain more competitive and more and more end users are switching qualities. Many still see the two origins as interchangeable but for those who don’t there are signs of large users accommodating the small differences in quality. Supplies are continuing to increase from Sumatra with local prices remaining stable. The only difference in pricing month to month is based on the currency exchange rates but in large this only amounts to +/- 5% when the price advantage Indonesia has over China is closer to 10-15% with China expecting price increases into 2016. There remains a reasonable balance in the markets despite supplies of clove leaf slowing in recent weeks. Collections are traditionally lower at this time of year with the next main harvest period starting in May. We may see some small price decreases at this time but they could be offset with similarly small movements in the local currency. For now markets remain stable. There is a lot of interest in this product at the moment as the market continues to assess the viability of this quality as a long term option. It has been seen to be accepted in a number of new and interesting applications. Prices remain steady however supplies are not as consistent as they could be. Hopefully more controls coming from within the supply chain will improve this over the next months. Despite more apparent challenges within the nutmeg supply the availability of mace for oil production is stable, likely due to the smaller oil market. As a newer product it is gaining momentum and qualities are consistent. Expect prices to remain at today’s levels for the short term. Overall supplies in 2015 improved but this market sector lacks controls and continuity. Supplies are ad hoc and qualities need to be re-worked constantly. 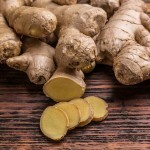 Efforts are in place to improve this long term but it will take time to find to reassurances we all like to have when dealing with these premium natural ingredients. Today prices remain firm but stable. The vision for this oil remains the same as the previous 6 months, namely that we will and are seeing a slow rebalance in the market supply and demand. We saw an ‘event’ in 2015 when prices dropped sharply and significantly only to become so unattractive to farmers that over time collections reduced and oil stocks diminished. Although there has been little change in the overall market demand the reduction in cheap oil has seen prices slowly increase week on week to a point where it is getting closer to something workable long term. There is still a sense that PRICES COULD CONTINUE TO RISE 5-10% but with fresh crops usually coming online around May we could see this increase slow down until later in the year. It seems the volatility we’ve seen over the past 3 years has ended and the price trend for the next few months is stable to firming slowly. On the surface the markets remain fairly stable with only small ups and downs in recent months largely due to exchange rate movements rather than raw material costs and supply. That said there is always an ongoing challenge within the local patchouli communities to ensure this stability can continue. Each month following droughts or floods in one area there is a need to balance with supplies from other areas. As such more and more efforts are required to keep a consistent export quality with only those with the technologies able to keep on top of this. This is one reason why Van Aroma has grown to be the world’s largest exporter as their state-of-the –art technologies and quality controls have allowed it to develop the raw material market in newer growing areas. These technologies combined with the constant reinforcement of good farming practices have helped ensure supplies remain stable and therefore prices. Over recent weeks supplies from Sulawesi have been low due to recent floods but good stocks has meant the market hasn’t felt this potential ripple in supply. Supplies from Sumatra are stable but there is nothing coming from Java at present. Fresh production should start early June which will be needed to add some safety stocks back into the supply chain. 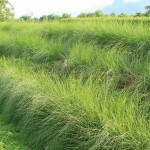 The situation simply does not improve with supplies continuing to remain low and market demand increasing by the week. It has been difficult for producers to accommodate even regular clients needs with many new and expecting clients left disappointed. Earlier in the year we anticipated prices to increase another 15-20% before Q2 and now we’re in Q2 we can say the same for the next quarter. There are simple supply and demand dynamics involved here at every step of the supply chain and with each step THE PRICES KEEP GETTING HIGHER AND HIGHER with no real changes expected in the short-term. There will be some challenging times ahead for the Italian lemon producers after the winter season yielded some poor results. Whilst the number of fruits looked good, dry weather back in November has significantly reduced the yields. Last year’s Italian fresh lemon production was down 2% on the previous year, with imports from Spain (55%) and Argentina (21%) increasing to support the domestic demand. Italy’s processing capacities were hit hard in 2014 with 16% FEWER LEMONS PROCESSED than the previous year. The impact of another poor season has pushed up prices for fresh fruits so raw material costs to processors have significantly increased. To put into perspective Spanish lemons are twice the price of Argentinian lemons and ITALIAN LEMONS ARE 3 TIMES THAT OF ARGENTINA’S! It is almost certain that Italy will import more lemons this year than last year to compensate and indeed they may become net buyers of oil from other regions. This is another reason why globally the price of lemon oil is likely to remain firm. No significant change to that last reported, namely prices remain firm amidst a shortage of supply and a strong demand. The 2015 crop was 15% LESS THAN THAT OF 2014, continuing the decrease we’ve seen in recent years. This is due to farmers turning their attention to other trees, as the cost of mandarin harvesting and cultivating is too high. Of the 17,000 MT crop estimate, around 10,000 MT will go for processing. Following a good season and low demand from the fresh fruit markets there is good availability of fruits for processing. The only downside is the intensity of colour for blood orange juice which is not as good as in the past due to warmer temperatures in January and February. Usually colder nights during the winter months help pigment the oranges to give that intense colour. Generally prices are stable but there is a premium charge for good quality material due to increased global demand. Mexican producers are keen to highlight that despite Mexico being hit by the current El Niño event (which will last another few months) the effects on the lime crops are seemingly negligible. Whether that opinion changes when the May harvest arrives is still subject to a few variables which can occur in the weeks before harvest begins. Generally the market and prices remain stable at a little under last year although it is understood that a number of large buyers are yet to cover all their 2016 requirements, which could quickly lead to a squeeze on supply. If this should happen we could see prices increase later in the year. Another factor is the growing domestic and international demand for fresh fruits, which is adding some additional pressures to the number of available fruits for processing. Difficulties continue with supply with little or no oil available at origin. The same can be said for other North African producing countries like Tunisia. The season should start in May although the prospects don’t create a great deal of confidence for the markets to improve in the short term as demand for the dry leaf also remains high. Supplies continue to increase catering to the markets growing enthusiasm for this special oil. The new season will start during mid to late April. Despite this, there seems very little information being provided by the producers as to the crop conditions and expectations. We will have further bulletins on this as we hear more in the coming days/weeks. Supplies continue to be short but against a slow down in sales prices have weakened in recent months. It is unlikely that supplies will improve in the short term so future pricing will depend on market demand over the coming months. It is too early to consider how the 2016 crop will perform as this plant isn’t harvested until September/October. There is also the added complication of where this plant grows as it is cultivated in the South and South East of Ukraine, where lasting conflict remains and where accessing the territory and crossing borders continues to be over complicated. 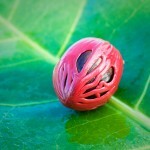 Today there is limited material on the market, which in turn is putting some pressure on prices. 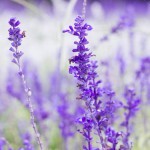 The headline statement for clary sage is still that it is in HIGH DEMAND with PRICES REMAINING FIRM. Russian quality has emerged as the preference for many end users as it has become more regularly available than that from other origins, despite the primary reason for its cultivation being for the production of clary sage concrete and not oil. However, early signs for 2016 aren’t good with an assessment after the winter suggesting there could be as much as 30-40% FEWER PLANTS THIS YEAR than last! As with many floral oils the key to a good harvest is determining when to harvest and what the conditions are at the time of harvest. This will only be known come July when the next harvest is upon us. Today the markets are limited with the number of options available for supply small since only a few stockists are carrying material. As such prices remain firm. The condition of the plants looks to be healthy for this time of the year. So it is expected that there will be a good crop, although it is thought that the acreage of plants around Russia is less than in previous years so the overall yields could be smaller. 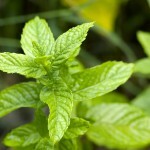 Harvest for herb oil will start early June and as always this is generally a made to order product. 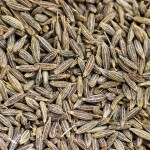 Any plants not harvested will go on to seed and will be available at a later time to be harvested for seed oil. There is a little carry over from last year but today the markets remain quiet. Prices are expected to remain around the same levels into the new season. As with coriander herb the condition of the plants look to be healthy for this time of the year so it is expected there would be a good crop, although it is thought that the ACREAGE OF PLANTS AROUND RUSSIA IS LESS THAN IN PREVIOUS YEARS so the overall yields could be smaller. Harvesting for seed oil begins in July/August with the first shipments made in September/October. After a healthy crop in 2015 and a fall in market prices the market has re-balanced at stable levels. There was a lot of competition from producers last year, which is unlikely to prevail to the same extent this year, which should bring more stable pricing from origin. There appears to be reasonable stocks still available both with traders and at origin which should keep prices stable until the new crop. It is expected when all factors are considered that prices into the new season should remain close to today’s levels. Prices remain firm and are likely to remain so in the short-term despite the spring season usually bringing about fresh supplies. The few plantations still viable in Russia seem to have made it through the winter period well. That said, we are not expecting big volumes from the area as over recent years plantation areas have been reduced due to market competition and year-on-year weather conditions resulting in poor crops. There are few offers from South Africa at the moment after what’s been described as a terrible season. Drought conditions and high temperatures severely affected the size of the fruits reducing overall yields. 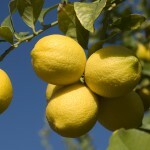 It is unclear as to how many lemons made it for processing but based on the lack of offers it wasn’t the usual 60,000 MT. 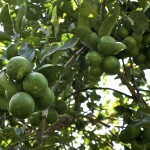 The USDA says South Africa’s fresh orange production forecast is virtually unchanged at 1.7 million tons. Exports are expected to be down 50,000 tons but still account for over 25 percent of global trade. The European Union and Russia remain its largest markets. Most of South Africa’s fresh oranges are either consumed domestically or exported to Europe with around 400 MT of oil being produced each year. There are no numbers yet to quantify recent production but it is expected to be DOWN ON PREVIOUS YEARS. Any offers today are at relatively high prices compared to previous years from South Africa but typical of today’s global markets. There have been suggestions that in 2016 South Africa will produce more tea tree oil than in previous years but any small growth will be modest in comparison to the dominance of Australia. Much of South Africa’s production is wild harvested and organic and as such has a different place in the market. That said, it has its place and will no doubt continue to be a viable option for those end users looking for a different consumer story. After a disappointing 2015 few stocks remain at origin and those that do come at premium prices. That said, with French stocks depleted and with limited options available it could be that the Spanish are able to sell at a premium over the next few months. Limited stocks remain available at origin but at premium prices. Fresh fruit demand continues to put pressure on local prices and oil processors costs as the Spanish producers struggle to keep ahead of the game when it comes to oil sales. Having recently dominated supply gaps left by Argentina the roles have been reversed over recent months after Argentina came out of the dark and the Spanish faced increasing prices. Today THE COST OF FRESH SPANISH LEMONS IS DOUBLE THAT OF ARGENTINIAN LEMONS giving local oil producers an immediate disadvantage. That said, we’re not comparing apples with apples (or lemons with lemons!) as the qualities are different for many of the end user markets and within Europe the Spanish have a competitive edge over the Italians, who have their own problems. Quoting recent headlines from Agra-net, Spanish LEMON PRODUCTION IS PROJECTED TO SHRINK BY 35%, which has led to a reduction of 75% in the volume of fruit sent to the industry since the beginning of the season to December 2015. AILIMPO’s lemon harvest forecast for the 2015/16 season estimates an output of 710,000 MT, nearly 35% less than in the previous campaign. There is no let up in the supply issues which have prevailed for some time now. Small batches are irregularly available and when they do the price is as much as someone is prepared to pay. Another Spanish nightmare with stocks depleted for months following the dry conditions during spring/summer 2015 and there’s still 3-4 months until any new crop will come online. Producers are reluctant to comment on the prospects of the new crop and with prospective buyers waiting in the wings, prices are likely to stay firm. Reasonable supplies remain from last season’s crop with the next harvest coming online from June 2016 with the outlook for this year’s crop stable. New production will start in May with limited supplies remaining at origin during this time. Demand remains high as do prices, which will remain strong until new oil comes online in June/July. The latest USDA forecast headlines read well – ‘forecast increase by 200,000 boxes’! Good news? No! What we missed was the 1.6 MILLION BOX REDUCTION SINCE THE TURN OF THE YEAR. Estimates are now at 10.7 million boxes when back in August 2015 it was 12.3 million. 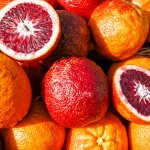 At the beginning of April, some 74 percent of the red grapefruit and 69 percent of the white grapefruit had been harvested so there is little in the way of future prospects as far as alleviating the supply crisis we’re enduring. Although most harvesting is set to be destined for the processing sectors. Today prices remain extremely firm, in particular for white grapefruit with limited supplies of both white and pink remaining at origin. There is some irony in the fact that global fresh grapefruit production is up 300,000 MT given the large increase in cultivated areas in China, however, these are primarily for the growing fresh fruit markets. Hard to believe given the problems in the oil markets! Tough times ahead!! Generally the market is stable with only small variances in recent forecasts over those made late 2015. Overall fruit harvesting has been similar to the previous year at 900,000 MT. 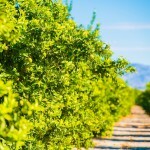 Lemon acreage increased this year by 1,000 acres to 56,300 acres and processed fruit increased to 260,000 MT. As with many countries, the United States is now importing more lemons than ever before. With a growing domestic fruit market and a relatively static local production this is a trend that is likely to continue. It’s another damming statistic which ultimately throws the long term future of Florida citrus production into question with year-on -year disappointments now something all too common. There’s no hiding the troubles in Florida and the net result for the market is higher prices, which today show no signs of improving in the foreseeable future. The market has been firming in recent months as supplies dwindle in the market. Following a disappointing 2014 crop after heavy rains disrupted harvesting it was expected that prices would firm throughout the off season which is exactly what is happening. The new season starts this month so it is possible we will see an improvement in supply and price over the coming weeks.